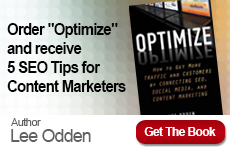 Marketo Social Media & SEO for B2B marketing webinar with Lee Odden of TopRank Online Marketing and Rand Fishkin of SEOmoz. Mobile Marketing Spend to reach $56.5 billion by 2015. That’s 6 times the spend in 2010. Mobile is obviously hitting its stride this year with the proliferation of smartphones. The ATT & Verizon plus iPhone and Droid competitive spirit hasn’t hurt growth either. Via MarketingCharts. The 7 Stages of News in a Twitter and Facebook Era. Insightful observations about social group behavior when it comes to news. Social sites like Twitter have eclipsed mainstream media when it comes to breaking news. Via GigaOM. The Role of On-Page SEO Content: Relevance, Not Rankings. The bottom line with SEO is to make it easier for search engines to do what they do with your website. With the recent Panda update, that also means quality content and social engagement. On-page SEO is just the start, because links are still important and to inspire content and social engagement, a website’s content must be promoted and shared. Via Search Engine Watch. Twitter To Buy TweetDeck For $40 Million – $50 Million. This is primarily a defensive move since UberMedia owns several other highly popular Twitter clients. Hopefully Twitter will make enhancements to Tweetdeck. Via TechCrunch. Social Media Ad Revenues Will Reach $8.3 Billion by 2015. BIA/Kelsey reports that social media ad spending will account for 21.9% of all digital advertising revenue. Like many other agencies, we’re seeing social network PPC and advertising provide attractive returns and that performance will only inspire more investment by advertisers. Via MediaPost. 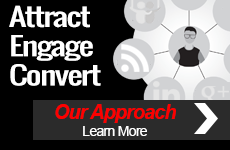 Content Fuels Social Media Interaction. A new study by AOL and Nielsen reports a significant (but not majority) of social messages point to or are about content on the web. Also, 53% of time spent on the internet is related to content consumption. The report also segments data by industry. 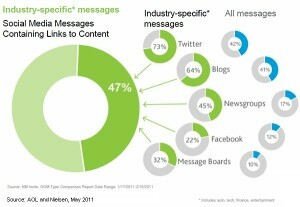 Useful information for companies looking for insight into content consumption and sharing behaviors. Via MarketingProfs. Google Ranks Highest on Corporate Reputation Survey. Evidence of the ubiquity of their search product and the fact that it simply works, Google is trusted by many, ranking higher the Johnson & Johnson and 3M. Via Harris Interactive.